A New Year, A New Style! The Raymond Weil Lady Freelancer now has a brand new addition to the family. The Black Diamond Freelancer is the perfect accessory for the empowered woman. Offering both contemporary style, and distinct design, the new Raymond Weil Lady Freelancer Black Diamond is a watch to be worn with confidence. This dark and mysterious model has been designed in sleek shades of grey PVD coated steel, offering a subtle yet intriguing aesthetic! One of the stand out features of this model has to be the darkened 38mm steel bezel, which prominently holds 66 black diamonds adding just a touch of luxury to the piece! This may not be the most eye catching feature of the Raymond Weil Lady Freelancer however. This piece features an updated date display window, just below the 12 o’clock position, which is one of the most prominent characteristics of the stunning timepiece. A half moon shaped opening plays the part of this date display, perfectly completely thing powerful aura of the watch! 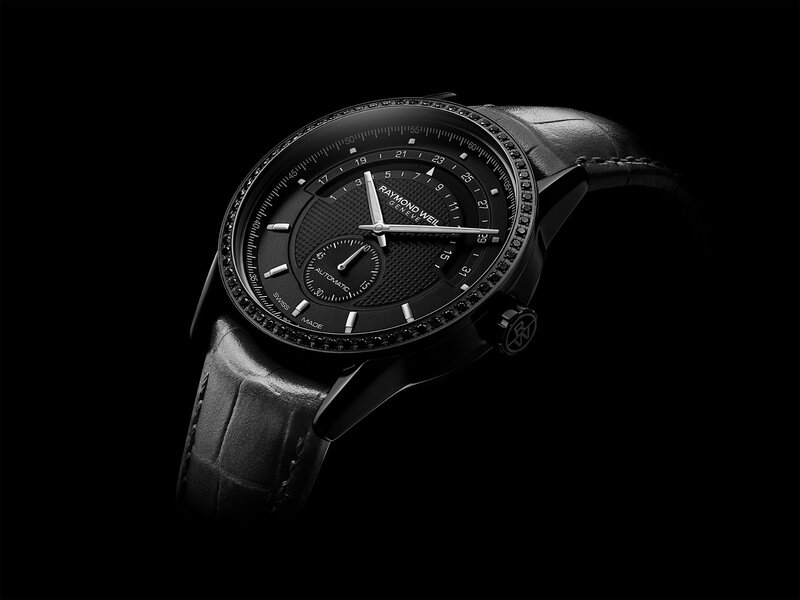 Not only this, but the Black Diamond Freelancer also features an Automatic movement, complete with and impressive 38 hour power reserve, to keep you on time throughout the day! With a genuine calf leather grey strap, secured by the RW folding security clasp, this piece is complete, and looks to be a very popular model too! 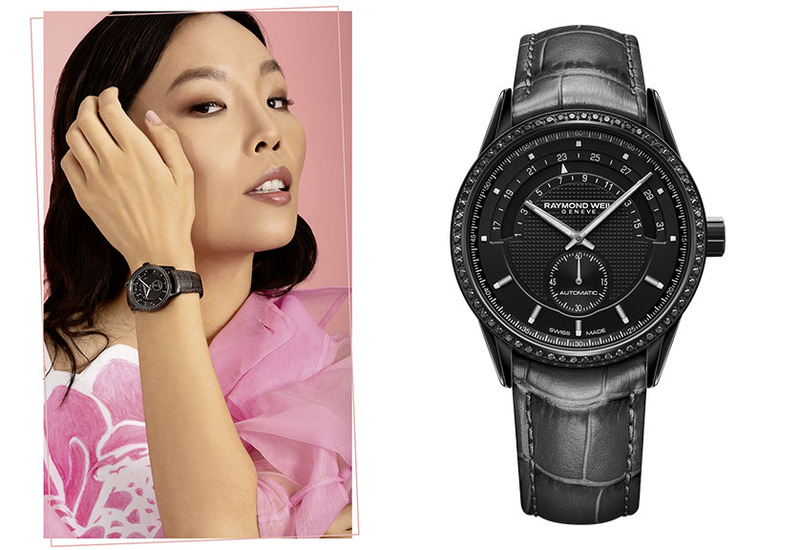 The perfect way for Raymond Weil to celebrate the release of this new Lady freelancer is with the support of their latest brand ambassador Dami Im. Dami is a Korean born Australian singer-songwriter, who is currently topping the charts, and selling out venues across Australia with her new album ‘I Hear A Song’. She released her first award winning single, ‘Alive’, in 2013, after her popularity secured her a contract with Sony Australia! This was not her first taste of success however, she had previously achieved the highest ever score for Australia in the Eurovision Song Contest, and also was the winner of the fifth season of The X Factor Australia. And now she is on board with Raymond Weil watches! Similarly to the Raymond Weil brand, Dami Im first found her love of music through her family, and as a classically trained pianist, and self taught singer, Dami was the ideal candidate to come on board with RW. Her pure determination and passion has helped her to grow her career, and mold her into the superstar that she now is! It is these qualities that Dami possesses, that can be found in every piece from the Freelancer collection! If you are looking for more options for women’s watches from Raymond Weil, then make sure to check out our guide here, or shop the range by clicking here!